We had our 7th meetup on the Lean Startup and the topic of discussion today was Determining Waste vs Value. The biggest reason for waste in any process is big batches. The book refers to a number of examples where batching things in smaller sizes actually resulted in the overall job getting done faster and in addition to that reduced waste in the process. Here is one example, where the batch processing of stuffing envelops vs stuffing each envelop had a show down. We discussed how the product development cycle if done in a lean way could result in getting feedback faster from the customers by getting a usable product to the market. We also spoke about the Lean Manufacturing Process of Toyota, how the Pull method is used to replenish inventory rather than storing a large stock. Although my experience with Toyota in Iceland is very different, my Toyota 4Runner rear wiper broke and when I wanted to buy a replacement I was told that they need to order it for me, it took a couple of days but when it came I realized I needed to get the wiper unit as well once again it was not in stock. I basically informed them that I was not interested to wait another couple of days for the wiper, I will just find the old one and try to fix it to the new arm. So, it is not consistent that Toyota has the same process world over. In manufacturing, pull is used primarily to make sure production processes are tuned to levels of customer demand. Without this, factories can wind up making much more or less of a product than customer demand. Lean Startup models do not work this way, as customers often don’t know what they want. The goal of any lean startup in building products is to be able to run experiments that will help us learn how to build a sustainable business. 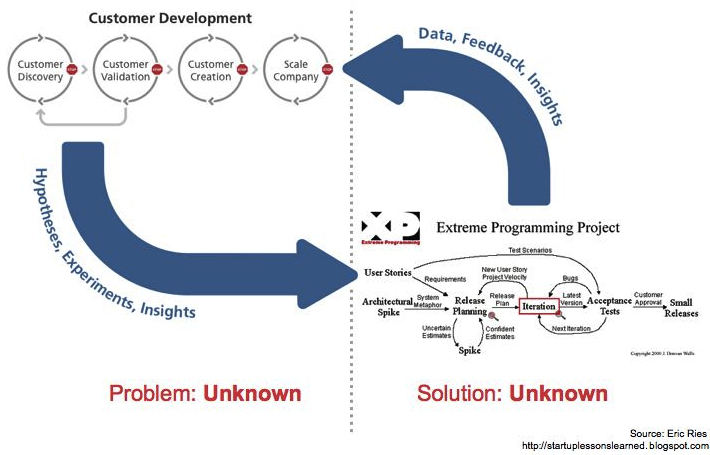 Thus, the right way to think about the product development process in Lean Startup is that it is responding to pull request in the form of experiments that need to be run. It is not the customer, but rather our hypothesis about the customer need, that pulls work from product development and other functions. Any other work is waste. There were a number of questions and examples of how testing was done to validate hypothesis. Kristjan shared some examples that Eric Ries, the man himself was sharing in SXSW last week in Austin, Texas. Kristjan will talk about SXSW experience next as it relates to the book and how the whole conference was organized. During the discussions, there were a couple of questions related to how to apply the lean methods in established conservative organizations. I tried to give examples of how hypothesis testing can be done in any process. The end result is the key and defining success and/or failure is also key to test hypothesis. ← What are your Habits?